Hadley Rille Books, 9780692497104, 242pp. Come to Istanbul, where determined cats find an unlikely ally to rally the neighborhood before the next earthquake. Spend a day with the first dog. Travel with a man and a polar bear as they outsmart trolls who have overstayed their welcome. Walk with a blind hacker and his seeing-eye miniature horse as they take on a job that may be more than what it seems. Marvel at the price paid to make a mute dragon speak. Visit a nursing care facility, where the resident cat does far more than just lounge in the sunshine. 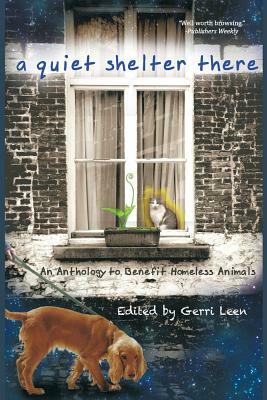 The stories and poems in this book were written by authors and poets dedicated to the cause of homeless animals. A large percentage of the profits will benefit the Friends of Homeless Animals rescue in Virginia, and other shelters/rescues may use it for fundraising as well. By buying this book, you will help a lonely animal find his forever home, a sick animal get well, or a scared animal sleep in a safe place while she learns to trust. Thank you.